One of my favourite herbs when it comes to a relaxing cup of herbal tea. Great for stress and insomnia while its gentle lemon fragrance never fails to uplift my spirits. Description: Melissa is a perennial herb, native to the Mediterranean basin, south-central Europe and central Asia. Now available virtually throughout the world. The leaves emit the lovely fragrant lemon odour and distinctive sweet lemon taste. Small bunches of white or yellow flowers can be seen from June to October. Actions: Lemon balm has many properties including as a relaxant, carminative, sedative and nerve tonic. It is anti-spasmodic, anti-viral and anti-bacterial, diaphoretic (promotes perspiration) and a febrifuge (reduces fever) (Skenderi, 2003), (Chevallier, 2001). Rub it on insect bites too and a cup of lemon balm tea really helps when I have a tension headache. The name Melissa, is from the Greek word for bee, alluding to the attraction the flowers have for the bees. Balm is an abbreviation of balsam, referring to sweet smelling oils (Grieve, 1931). The herb was held in high regard in cases where conditions were because of a ‘disordered state of the nervous system’ (the London dispensary, 1696). Traditional and current use: Calming, ‘lifting the spirits’, anxiety, mild depression, insomnia, restlessness and palpitations (of a nervous origin). Digestive problems, in particular as a result of anxiety, anti-spasmodic helping colic, IBS and dyspepsia. Used as a ’women’s herb’, Lemon balm has been shown to help with morning sickness and during labour when taken as ice cubes. 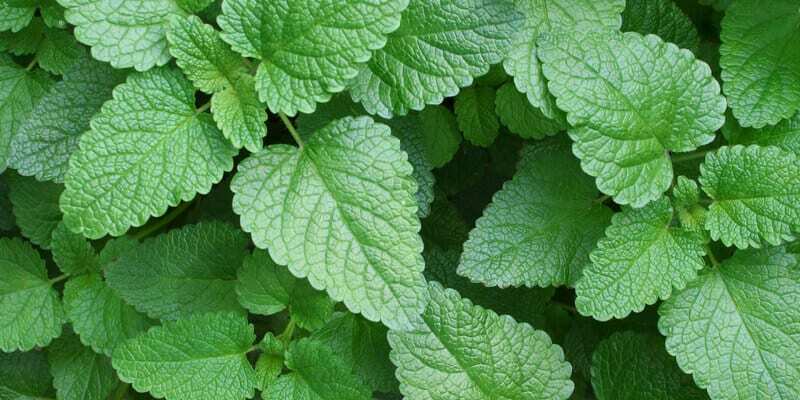 Spasmodic dysmenorrhoea (painful periods) has been relived with lemon balm while during menopause, the mood lifting and diaphoretic actions of lemon balm may help to relieve symptoms including hot flushes (Skenderi, 2003). The anti thyroid effects of lemon balm suggest the herb could be effective in Graves’ disease (hyperthyroidism) (Auf’mkolk et al, 1984). Contraindications: There are no known contraindications or interaction with medication, herbs or food (Skenderi, 2003). I have always grown lemon balm and dry it for winter time use. It’s easy to grow in the garden or on your window ledge. It’s great for a pick me up, to de stress, helps me sleep or just because it tastes nice. Try it as a tea, in salads or in a foot bath, oh and it’s not bad in a gin and tonic either!